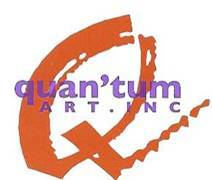 Suzanne Larson | Quantum Art Inc.
Suzanne Larson was born into a family of artists, musicians, designers and writers. She, however, ventured into veterinary medicine. So when the muse overtook her animal and nature themes emerged in her work. Suzanne’s work reflects her unique sense of humor and her ability to envision interesting possibilities in the mundane. Her media include assemblage, clay, metal, glass torch work, and kiln formed glass. She received an education in vision, color, music, rhythm and words during her childhood in the United States and France. 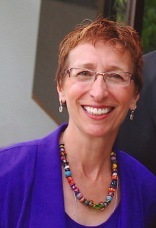 Suzanne has also benefited from formal studies in the arts at Hofstra University, University of Utah, and Salt Lake Community College and from creative mentors including with John Gleason, Ursula Broadouf, Newy Fagen, Louise Peterson, Kerry Transtrum, and Dan Cummings. She began to fashion her assemblage pieces, creating “wild animals engaged in human pursuits of happiness.” In 1998, she submitted her piece, “Umfulozi at the Opera,” to the Hogle Zoo’s World of the Wild exhibit in Salt Lake City. Umfulozi was successfully juried into the show, she won the Best of Show award which was when, as she puts it, she finally had the courage to embrace her life as an artist. Suzanne continued to create her assemblage pieces, receiving a commission from Birmingham, Alabama for two life-size giraffes. During that period, she began to work in sculpted metal, producing, among other sculptures, a monumental falcon and quail to hang on the outside walls of two local homes. Suzanne began learning and working with glass in 2003 with lampworking. Soon she was working in kiln-formed glass. Membership in the Glass Art Guild of Utah has provided the opportunity to grow and advance her use of this precarious material. Her award-winning art has been shown at Red Butte Garden, Salt Lake City Main Public Library, Hogle Zoo’s World of the Wild Exhibition, the Utah Cultural Celebration Center, the Patrick Moore and Charley Hafen Galleries in Salt Lake, Springville Museum of Art in Utah, the Phoenix Gallery in Park City, and at the Quan’tum Art, Inc. in Scottsdale, Arizona. Suzanne’s assemblage, metal and glass artworks are in private, public and corporate collections nationwide. Along with shows in Utah, she is represented by Galleria Carnaval, Ramah, NM, and is a co-owner of Quan’tum Art, Inc. in the famous Scottsdale Arizona Art District.